Marvel’s August 2018 solicitations revealed Weapon X is undergoing a significant change. With Weapon X #22 from Greg Pak, Fred Van Lente and Yildray Cinar, new leader Sabretooth will recruit a roster of deadly killers ready to do “what the X-Men can’t” to protect mutantkind, with the solicitation text promising the debut of Weapon X-Force. Previously, the team consisted of Sabretooth, Old Man Logan, Lady Deathstrike, Warpath and Domino. All five characters have a very violent history with one another, but they were able to put that behind them to bring down the revived program that birthed their powers. However, in June Sabretooth will officially take over as team leader and bring with him Omega Red, while Logan and Warpath will have been ousted from the team due to a feud with the feral mutant. The cover for Weapon X #22 is a callback to the book’s first issue, though the new cast will dominate the cover over the old one. At this time, it’s unclear just who will be joining Sabretooth’s new team, though silhouettes narrow down at least two potential candidates. 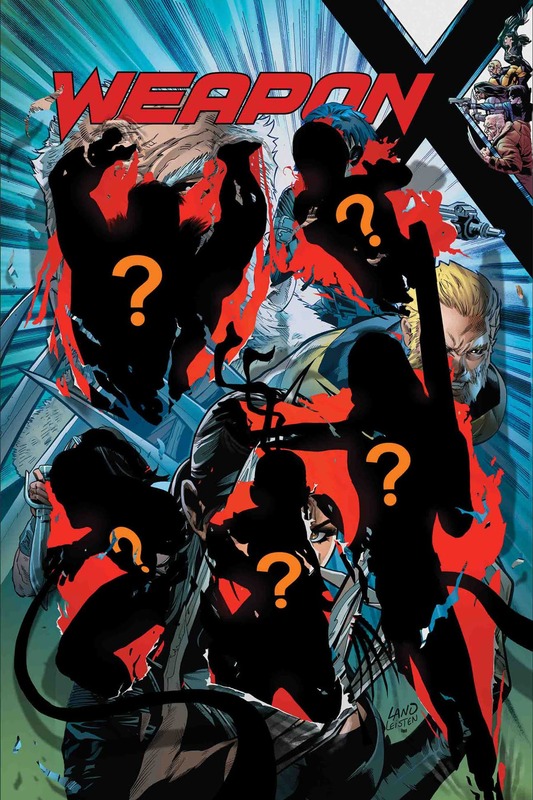 In the lower left cover is a long coil that hints at Omega Red, while the top right has someone with their hands up, who could possibly be Deathstrike. Check out the cover and solicitation text for Weapon X #22 below. The post Marvel’s Weapon X Evolves Into Weapon X-Force for Fresh Start appeared first on CBR.